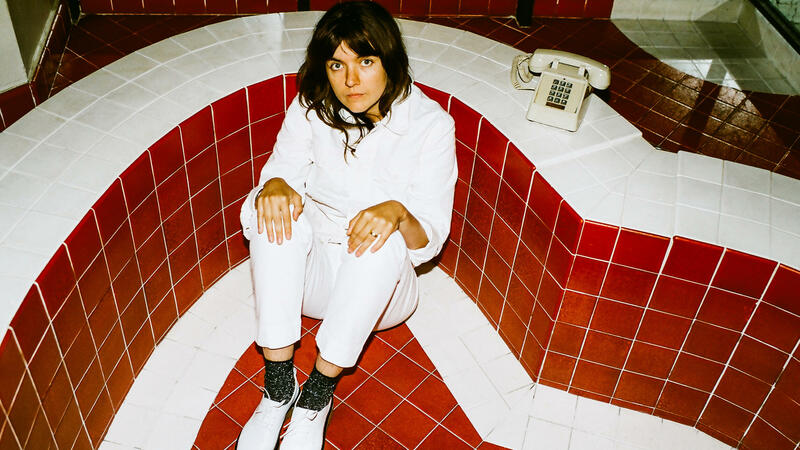 Earlier this year, Courtney Barnett released Tell Me How You Really Feel, a stunning album that retained Barnett's gregarious charm while deepening the sense of introspection in her work. Today, Barnett has released "Small Talk," a song from the Tell Me sessions that didn't make it onto her sophomore album. "Small Talk" sets Barnett's direct, conversational tone — "Can I get you anything? / A soda? Campari? With lemon? / You got it / I got better things to do than shave my legs" — against a rambling bassline. Eventually, Barnett tires of the polite conversation ("I like very much being here with you / But you see, all this small talk is killin' me") and the song morphs into a series of playful instrumental jams. "Small Talk" is part of a compilation for the 10th anniversary of Mom+Pop, Barnett's North American label.